Soon through the power of all our prayers to the Eucharistic Jesus, Abortion will be ended. There are no set prayers to be prayed but it is recommended to pray the Rosary with the intentions being the end of abortion, contraception, and euthanasia. Also please ask Jesus to End Abortion at least once during the hour, if not many more times. 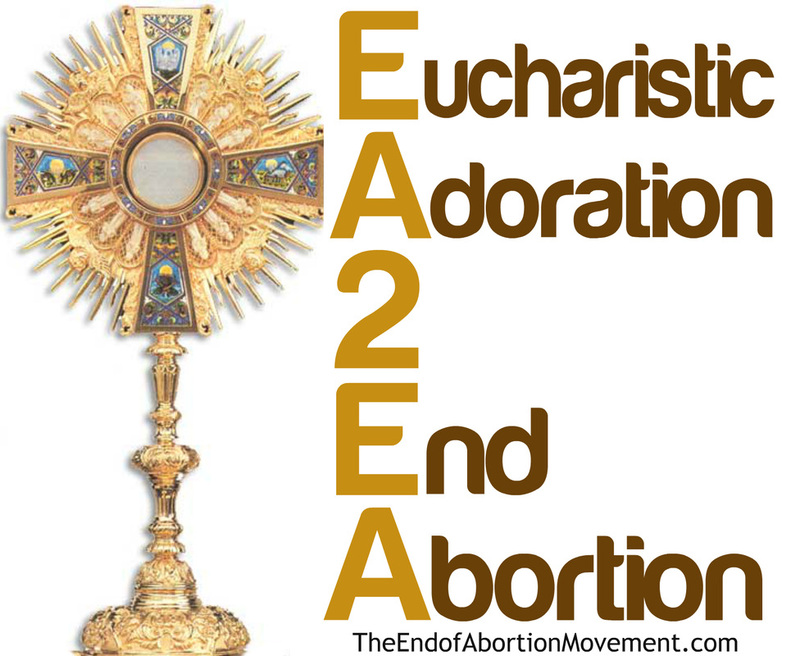 Join the Eucharistic Adoration 2 End Abortion Today!